Open House on February 17 has been CANCELED because the County is paint and doing repair of the living room at the Locktender's House. Stay tune for the reveal date for the restored living room. We will be guest beertenders at Stable 12 Brewing Company located at 368 Bridge Street in Phoenixville, PA. Stable 12 will be donating 10% of the sales for the night back to us! Come out and let us pour you a beer or two and help us support the care of Lock 60. and the Schuylkill Canal Park. Join the Schuylkill Canal Association for a guided tour of the renovated herb garden. Master Gardener will describe the challenges in the garden and plant selection. 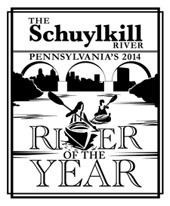 The Schuylkill River Sojourn is a week-long paddle of the Schuylkill River starting in Schuylkill Haven and ending in Philadelphia. As the paddlers come to Lock 60, we invite the community to welcome and join them at a delicious spaghetti dinner with dessert and coffee provided by St. Michael of the Archangel Catholic Church and served by Otterbein United Methodist Church. The dinner ($10) will feature a program for everyone to enjoy. The sojourn will arrive at Lock 60 about 3:30 PM. The sojourners will then lock through Lock 60, set up camp in the picnic grove and enjoy an evening in Mont Clare as our guests. Thursday morning, June 6, breakfast will be served to the sojourners starting at 7:00 AM, again at St. Michael's Park. Breakfast is served by SCA volunteers, which includes fruit, bagels, muffins, cold and hot cereal, coffee and tea. By 8:30 AM the sojourners are ready to get back out onto the canal and paddle to the portage to the river and continue their journey. 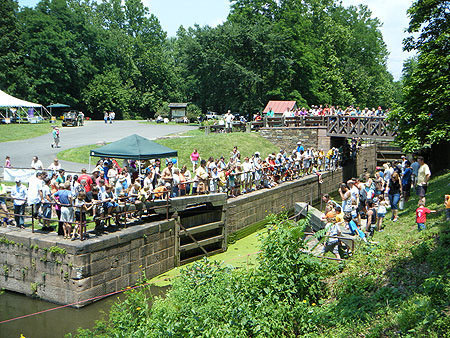 This day full of family-oriented fun along the Schuylkill Canal Park includes tours of the Locktender’s House, lock openings, food, music, kids' fishing derby, face painting, games & crafts. Competitive activities such as the Schuylkill River Trail Run/Denny Porinni Memorial Run, the Canoe/Kayak 5-Mile Water Trail Race, and the and world-renowned International Canal Joust. Food trucks and a Sly Fox Beer Garden will also be on site. St Michael Field and Pavilion on Jacob Street will be used for parking and additional events. Please be advised, Towpath Road will be closed to vehicular traffic, starting at 8:30 AM until 4:00 PM, A handicap-accessible shuttle bus will bring people back and forth, free-of-charge, from the parking area all day. Join the Schuylkill Canal Association for a tour of the Locktender’s House at Lock 60. Children of all ages can join in with adult supervision; free of charge; however, donations will gladly be accepted. Followed by a discussion on the Schuylkill Navigation System. 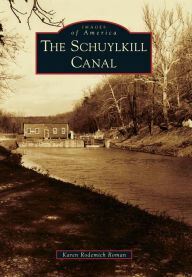 Join the Schuylkill Canal Association as it discusses lead up to the little known skirmish of Jacob’s Ford (near Rt. 29 Bridge) and the British march to Philadelphia. Children 10 and up with adult supervision; free of charge; however, donations will gladly be accepted; meet at Locktender’s House. Join the Schuylkill Canal Association’s Dave Williams for a guided walk to geology along the Schuylkill River and ravines. Dave will point out faults, fossils, and more. Weather permitting, this is a moderately difficult 1.5 hour hike up the first ravine, up a steep hill, along the bluffs, then down a narrow trail, and back to Lock 60 along the Schuylkill River. Children 10 and up with adult supervision; free of charge, however, donations will gladly be accepted. Step back in time to a Dickens’ holiday scene, as you enter the beautifully decorated Locktender’s house and sing along with the joyful music played by local musician(s). Partake in holiday treats and hot cider and join in with the Schuylkill Canal Association as we toast our friends with best wishes for a safe and happy holiday season. All are welcome; a donation of $1 or more will be gladly accepted; parking is available at Lock 60. NOTE: The event is cancelled only if there is a steady downpour of rain or snow. The magnificent light display is even more mystical if there is a slight drizzle, misty fog or a few inches of snow, truly creating a beautiful holiday scene. THANK YOU TO ALL WHO MADE CANAL DAY A SUCCESS!